Osterio Mozza is a spirited presentation of Italian cuisine by two of America's best known chefs: Mario Batali and Nancy Silverton. Osterias in Italy are more focused on steady clientele rather than haute cuisine, but this Osteria on Melrose Avenue attracts Hollywood town's beautiful people with more than the basics. The restaurant's Mozarella Bar is a popular concept serving antipasti based on fresh Italian cheeses - the best seat if you enjoy watching food being crafted right in front of your eyes. We began with an antipasti of Mozza Caprese. One of Italy's most popular summer time salads, the dish is made of mozzarella cheese, tomatoes, fresh basil and drizzled with olive oil. 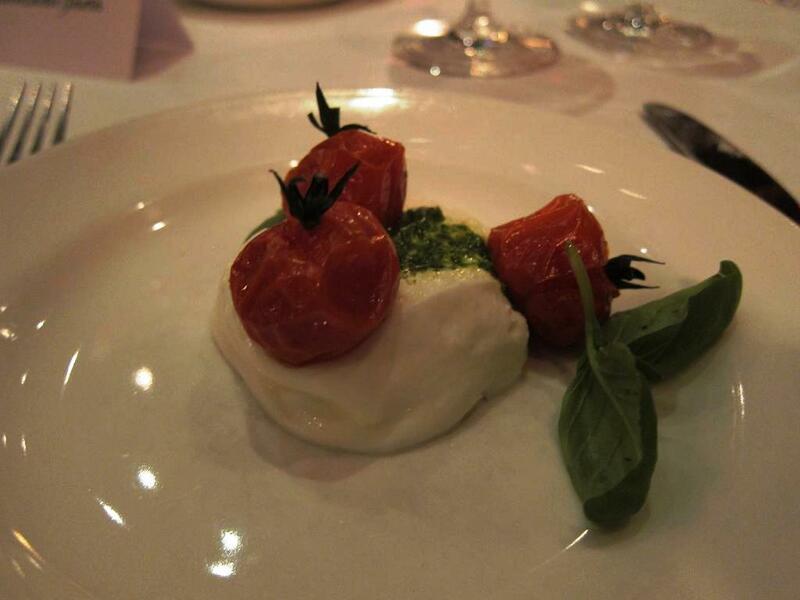 Nancy Silverton's rendition is made of slow-roasted vine tomatoes and hand-pounded pesto and creamy burrata cheese. 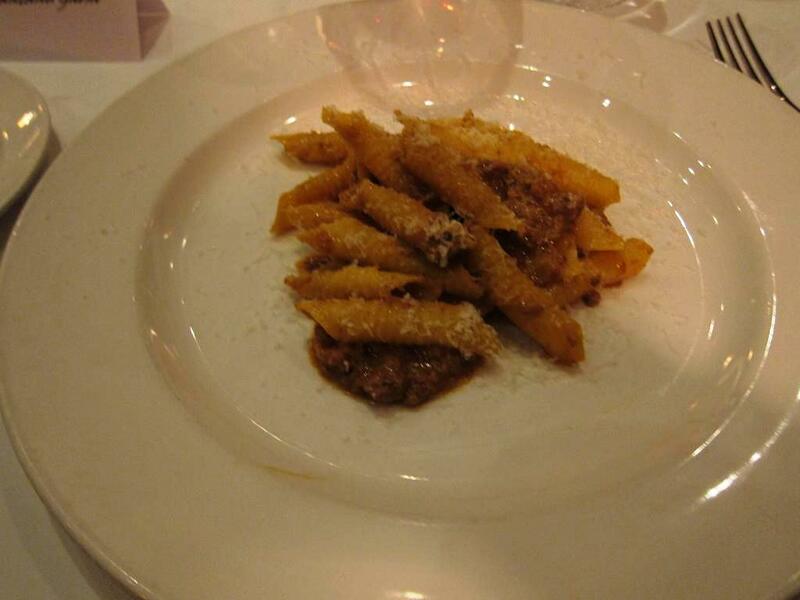 The Primi was Garganelli with Ragu Bolognese. This egg-based pasta is formed by rolling a flat, square noodle into a tubular form, unlike penne which is formed into a perfect tube. The pasta in its meat-based bolognese sauce was pretty good! For Secondi, I chose the Pan Roasted Pork Loin with Fagioli alla Castelluccio. This turned out to be a great choice. 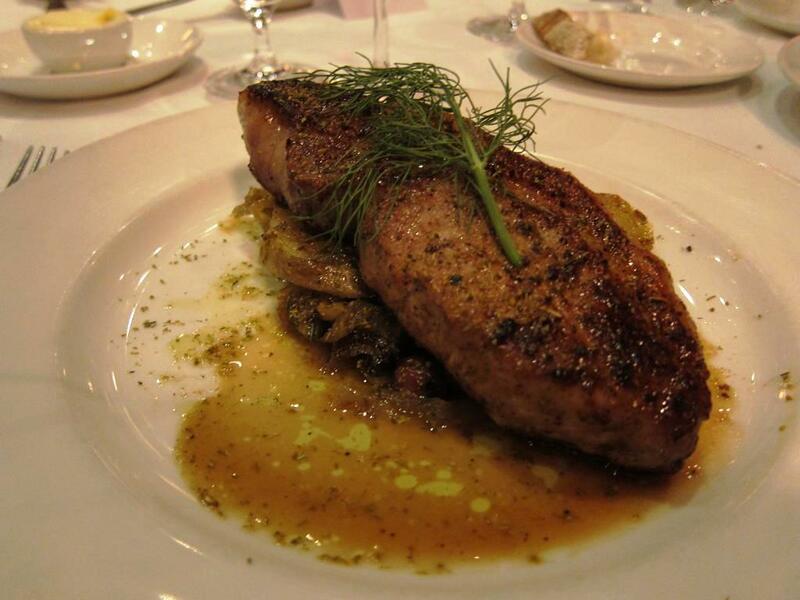 The meat was surprising juicy and tender and combined perfectly with the earthy flavors of the beans. 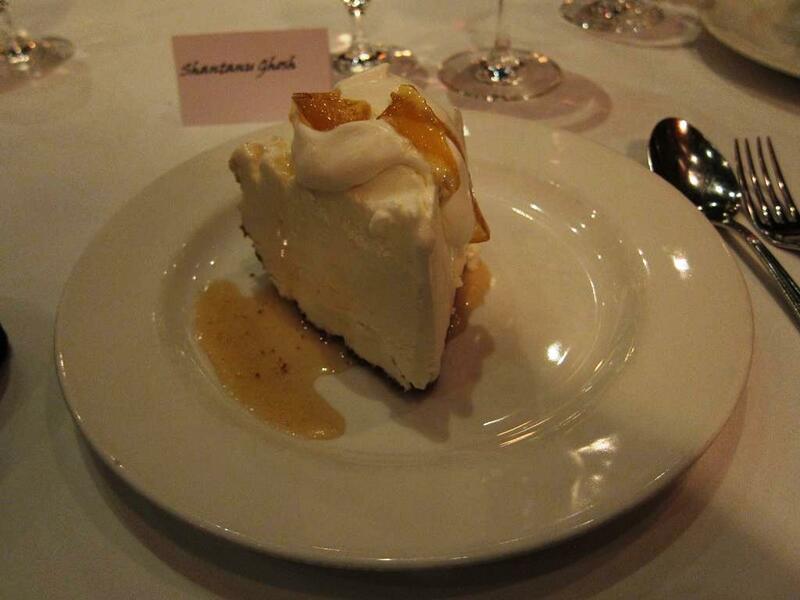 The Dolci, dessert offering, was the Meyer Lemon Gelato Pie with Champagne Vinegar Sauce and Candied Lemon Zest. The dessert looked very large and appealing to the eye, but the tongue beat a hasty retreat because of the exteme tanginess. 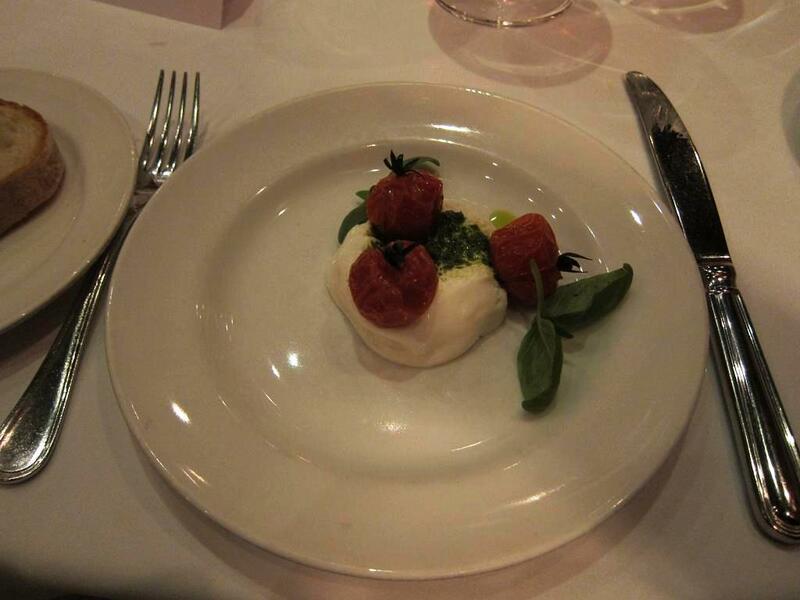 Overall a great experience in fine Italian dining. 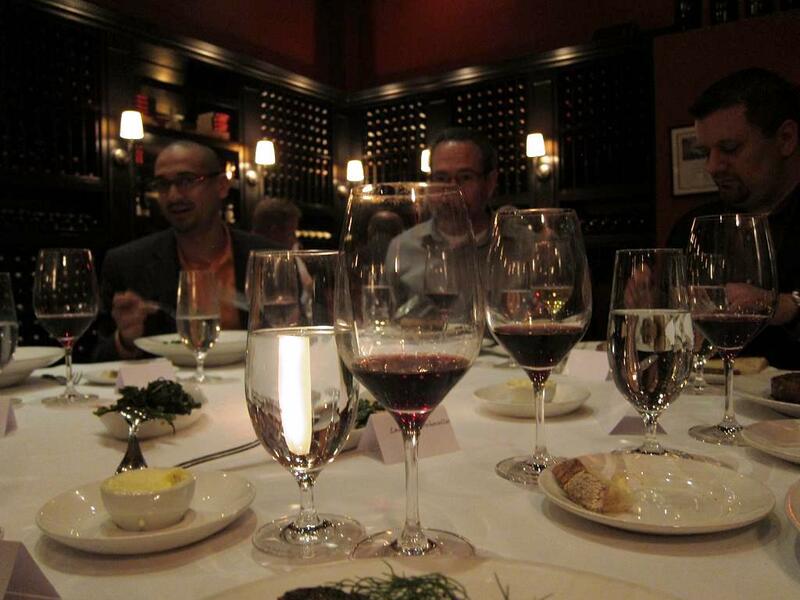 While we were in a private dining room, I can see the food and service combine to provide an exceptional experience for lovers of Italian cuisine in the heart of Hollywood town.